Today is Yom HaZikaron, Israeli Memorial Day. This is the hardest day of the year because every Israeli has a personal connection to this day. It isn’t a day filled with barbecues and promotional sales like in America. Because Israel is so small and serving in the military is mandatory, everyone knows a soldier and everyone knows a fallen soldier; whether that may be your own child, a parent, sibling, cousin, neighbor, or classmate. My grandfather was killed while volunteering in the 1967 Six-Day War. He is buried in Mount Herzl, along with over 23,000 fallen soldiers. Israel has fought countless wars since its Independence, and this memorial site keeps growing larger and larger each year. 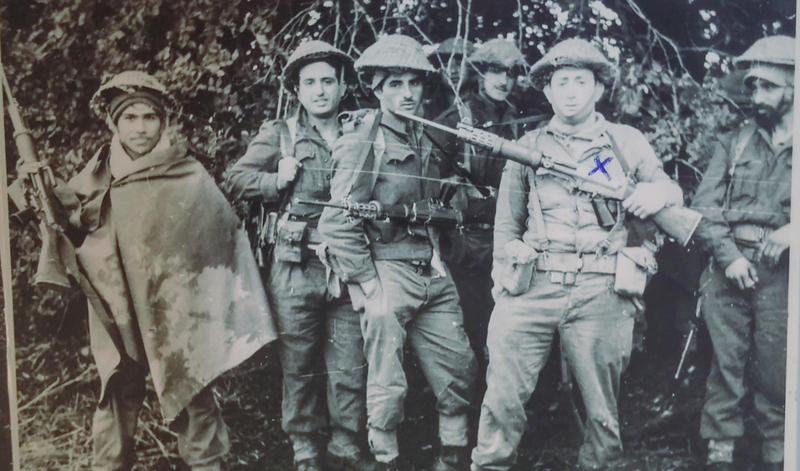 On this day, I mourn for my grandfather, Max Benezra (z”L), and for all of the beautiful soldiers we have lost. Today we grieve those who gave their lives to defend the state of Israel. Tomorrow, we celebrate 70 years of Independence. After experiencing this in person last year in Israel, I understand why Independence Day immediately follows Memorial Day. The amount of sorrow and pain that is felt on Memorial Day must be combated with an equal amount of joy to overcome that struggle. From one extreme to the next, these two days are an amazing symbol of Israeli society: a people who mourn those who have sacrificed everything for the very existence of their land, and then celebrate how this nation and its people continue to prevail.